Becoming part of an ancient scenario of history and architecture 'I Parigi Corbinelli' is strategically situated at the city gates amidst the typical florentine hills, where the streets of Florence dwindle away and Tuscany begins among olive groves and old dwellings. 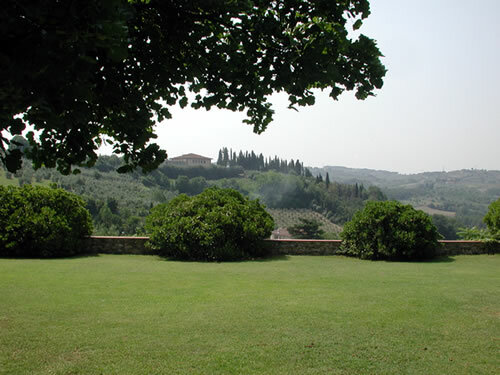 Only at ten minutes drive away from the sights of the historic centre, the tranquil and homey atmosphere is perfect for those who are looking to experience the art and culture that only a city like Florence can provide, while knowing that only a few minutes away they can get away from the bustling crowd and enjoy the calm and the view of the beautiful rolling countryside. 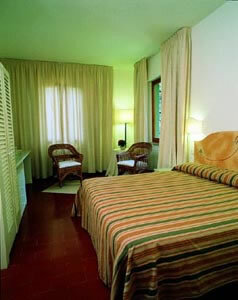 The rooms are spacious and welcoming; great care has been taken in the details. All have private bathrooms with shower, minibar, safe box and air-conditioning. Beds can be prepared either twin or double beds on request. 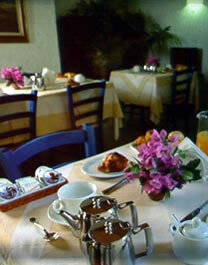 Breakfast is taken indoors in winter, outdoors in the garden in summer and is included in the room rate. 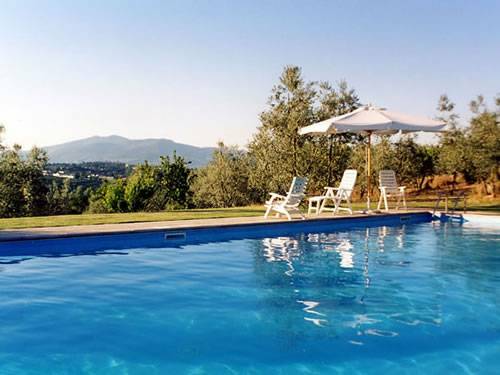 The swimming pool has been integrated into the beautiful natural setting, amidst the olive trees, and has a magnificent view over the Certosa (monestary) and the Tuscan hills. The swimming pool is open from June to September (May to October weather permitting). I Parigi has a large complementary carpark which is at the disposal of the guests who wish to leave their car and take the bus into Florence, while keeping the possibility of taking the car into the nearby Chianti, with its beautiful countryside and historic towns like Siena and San Gimignano. I Parigi Corbinelli is a complex of buildings, whose the oldest dates back to the 14th century. The medieval tower was built in this strategic position, on the crest of the hill, for the military control of the surrounding territory. 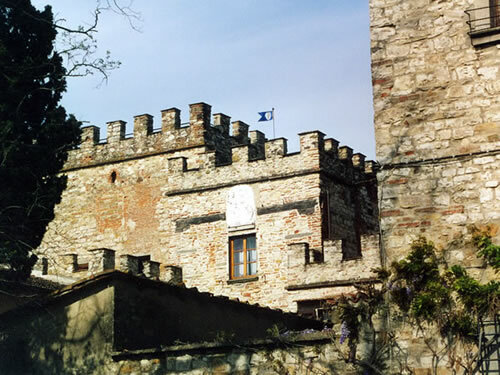 From 1427 this fortified residence was the home of Tommaso Corbinelli, son of Parigi, whose coat of arms can still be seen above the doors. In 1428 Lorenzo di Parigi Corbinelli offered the water from his wells to the neighboring monks of the Certosa, who, still today, use the water to irrigate their vegetable gardens. At the beginning of the 16th century the house passed into the hands of the Antinori family, who transformed its military functions to more rural activities, in particular the production of wine, olive oil and forage. It is from this period that the annex buildings were constructed to house the labourers. Since 1918 I Parigi has belonged to the present owners, who still make their own wine and oil. The rooms are spacious and welcoming; great care has been taken in the details. All have private bathrooms with shower, minibar, safe box and air-conditioning. 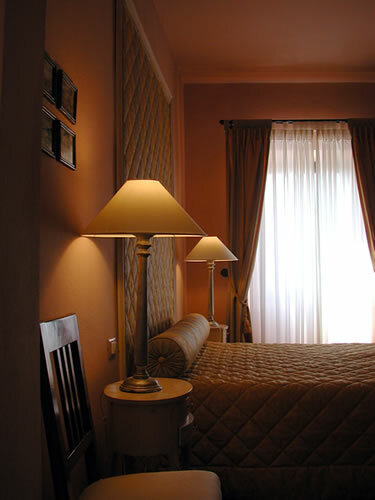 Double rooms can be prepared with seperate beds on request. The apartement has got a sitting room with sofabed by two people, kitchenette, bedroom, bathroom. No air-conditioning. 5 minutes drive.Typical tuscan food, very good, place where florentine people go to. non-refundable down payment deposit. Balance at check-out. Coming from the motorway A1, exit at Firenze-Certosa. Go around the round-a-bout and follow the signs for Firenze centro. After about 1, 5 kms you will see a sign 'Galluzzo'. Exactly here turn sharp right and follow the small road leading uphill, when it flattens out, you will see on your left, at number 12, I Parigi Corbinelli, easily recognisable by the cypress lined road that leads you to the entrance. I Parigi Corbinelli is at 10 minute drive from the centre of Florence. You can find public transport at the railway station, bus n. 37 takes you in 15/20 minutes to the stop 'Certosa 1' at 10 minutes walking distance from "I Parigi". Nearest airport: Florence airport, Amerigo Vespucci, is 12 kms fron I Parigi. By car from the airport, enter the motorway at the Firenze Nord and follow the signs to Roma. Exit at Firenze Certosa. Public transport also takes you to the trainstation.